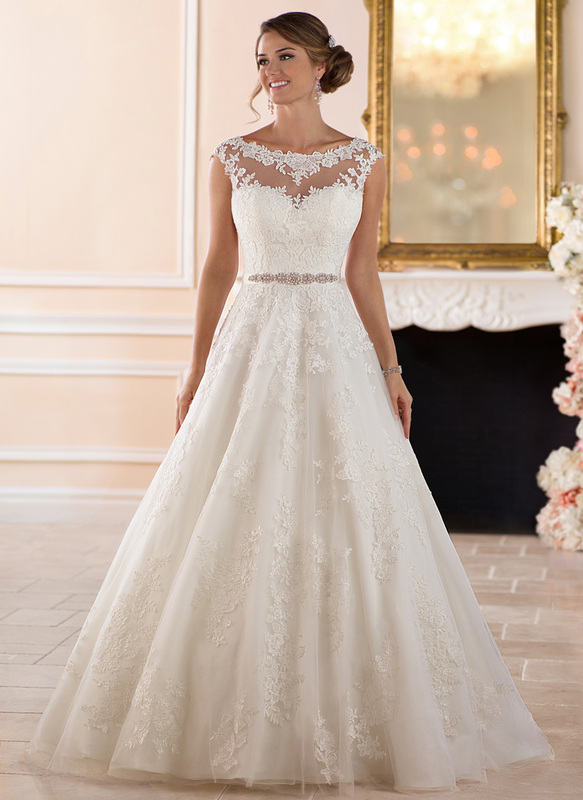 Soft and romantic with feminine details, this ballgown by wedding dress designer Stella York is an absolute dream. 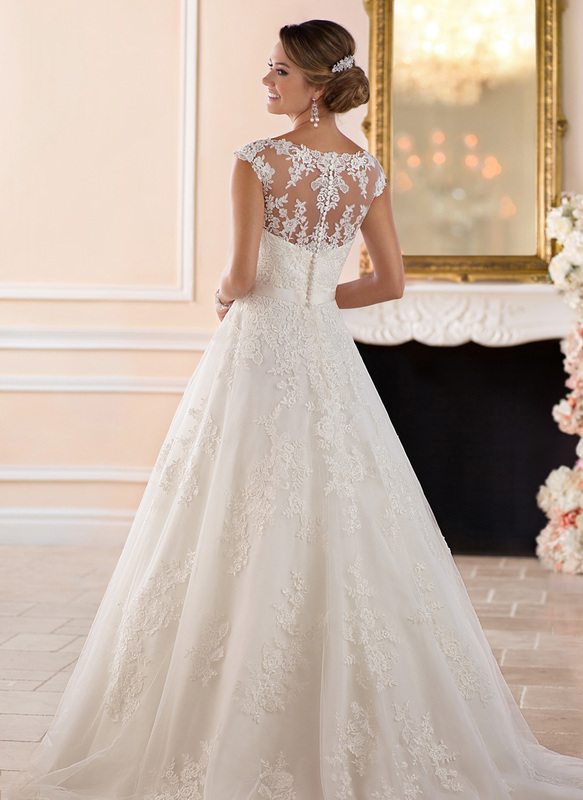 Lace and tulle over royal organza in a full A-line silhouette is something truly unexpected. A detachable sash flatters at the waist and ties elegantly in a bow at the back just above the full romantic skirt. Shoestring straps meet at an updated sweetheart neckline, made of French lace. 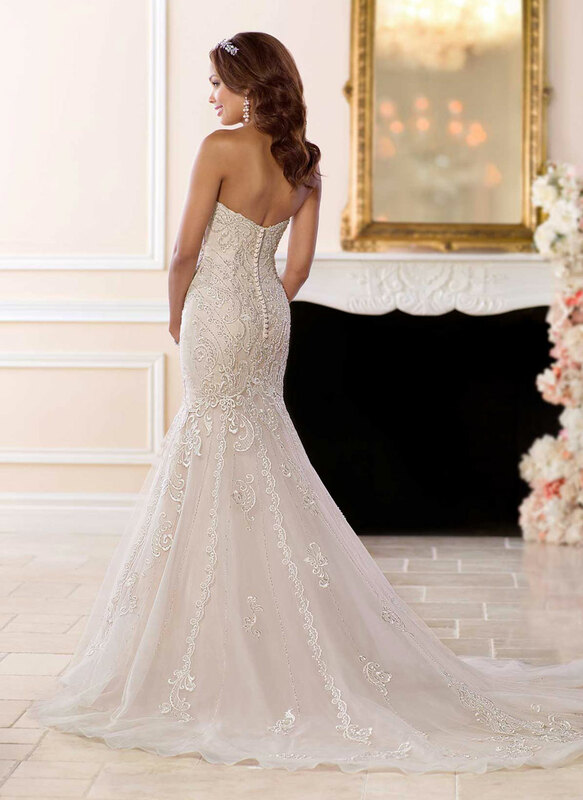 A soft shimmer has been added to the bodice for just a touch of drama.